FPV setups needn't be complicated, proven by this tiny little all-in-one camera transmitter unit. Simply provide power and attach it to your model to get a live video stream. To view the image, we recommend using something like the Hawkeye FPV monitor – between the two that’s a complete FPV setup for under £115. The unit requires a 3.3-5v power input, so it's easily powered from a 1S LiPo battery; it's very much plug and play. The transmitter has a switchable 25mW / 200mW output, so you can use it legally in the UK without a licence on 25mW. It also has 48 channels, including RaceBand frequencies making it compatible with most FPV gear out there. The channels are easily selected via a pushbutton. Another neat feature of the camera is that you can flip the image, useful if you end up having to mount the camera upside down. As the camera/transmitter unit is extremely small and lightweight, it could be installed on almost anything. To attach it you could use something as simple as Velcro. Lots of people are using them on micro quads like the Blade Inductrix to race FPV around their house. 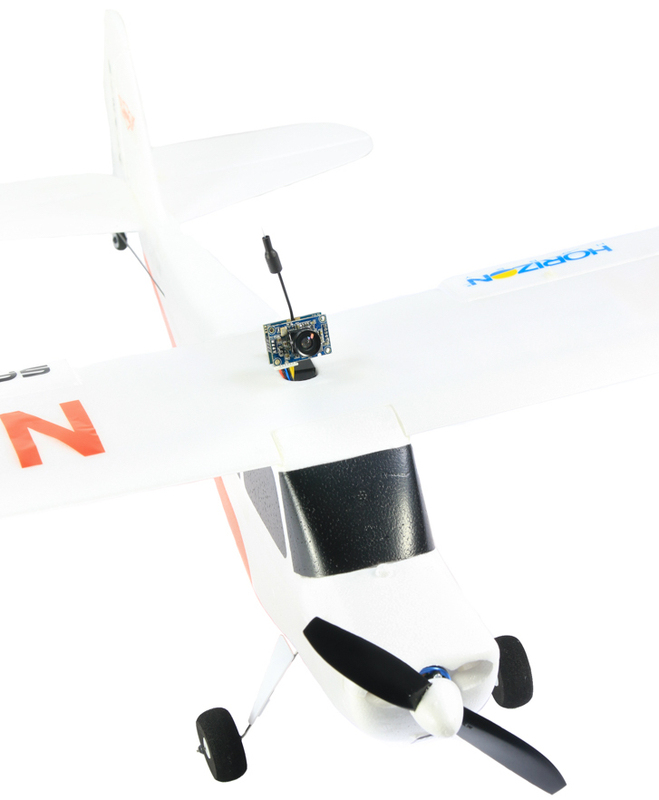 It's also particularly suited to some of the 'FPV Ready' aircraft coming to market such as the Hobbyzone Champ S+. Channel Selection: Short press to switch channel, long press (2S) to change bands. Compatible with the FPV Ready Hobbyzone Champ S+.